Preheat oven to 400 degrees. Place one piece of Naan bread on baking stone or cookie sheet. Spread pizza sauce over naan and then spread pesto cream sauce on top of that. 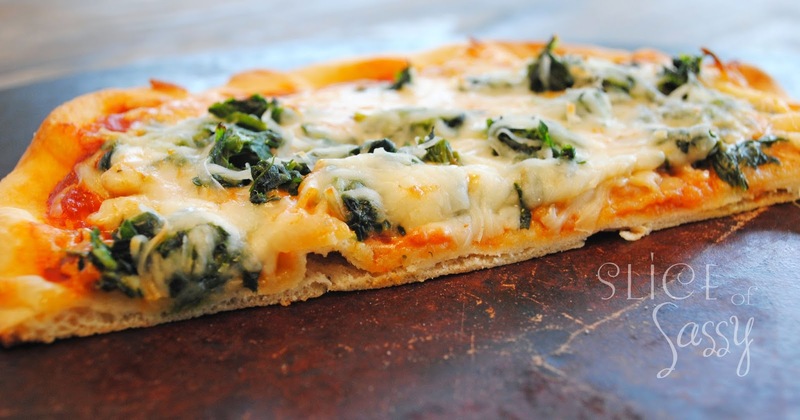 Sprinkle the chopped spinach to evenly coat pizza and then top with the shredded mozzarella. Bake for 10 minutes or until cheese starts to turn golden brown.